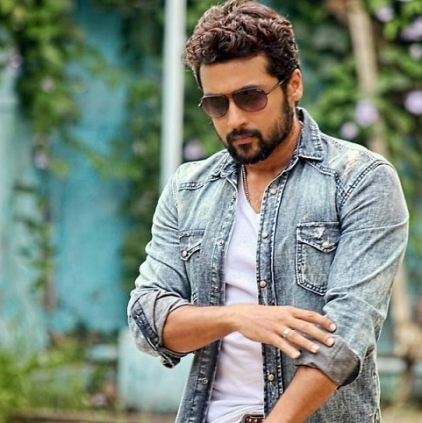 Suriya had recently shared his opinions on NEET exams and Anitha's death, which received positive feedbacks mostly. But, Dr.Tamizhisai Soundararajan, had made controversial statements on Suriya's opinions, which didn't go well among the fans. As a result, wrong comments and memes were created to troll the BJP politician. On that note, All India Suriya Fans Club released a press statement requesting all the fans, not to indulge in any negative activities, as their favourite star wouldn't like that. The statement read, "Positive feedbacks have been pouring in for our dear brother Suriya's opinion on NEET exams, but, unfortunately, BJP State Leader Dr.Tamizhisai Soundararajan's statement was opposite from others. We've also heard that a section of Suriya fans has been abusing her for her statement. Suriya would never like this on any day. We should accept and defend any comment that comes against us, on a healthy basis. We strongly condemn the negative activities committed by those Suriya fans on social media and those who are members of the fan club. All reputed educationalists know about Suriya Anna and his ideologies. So, Suriya Anna will always be confident and focused about Agaram and its future. Our club is functioning for the past twenty years, as per Suriya anna's saying, 'Help the people truly right from your heart and don't do it for any kind of publicity.' It will continue to function the same way in the coming years too. It would be good if any of our activities don't hurt any human being in any way. If any of our brothers' comments had hurt Dr.Tamizhisai Soundararajan, we send our kind apologies to her on behalf of all Suriya fans." IT IS 11 AND COUNTING FOR SURIYA AND JYOTHIKA! Actors Suriya and Jyothika, celebrate their 11th wedding anniversary today. On this same day, (September 11) in the year 2006, the two actors tied the knot and have been a wonderful and admirable couple for the very evident understanding and love that they share. Suriya and Jyothika have two children Diya and Dev and the two actors seem to have an amazing compatibility that has supported each other’s career. Through thick and thin, they seem to be complimenting each other with their positive energies and the second innings of Jyothika’s career is something that has to be mentioned about. Right from the start of Jyothika’s second innings that saw successful films like 36 Vayathinile to big films like Bala’s Naachiyaar, Mani Ratnam’s next and the film to release Magalir Mattum, Suriya has been extremely supportive of the talented actress’s career which seems to be at its blossoming best. We wish this wonderful couple a very happy 11th anniversary and also wish them the best of luck for their forthcoming films.